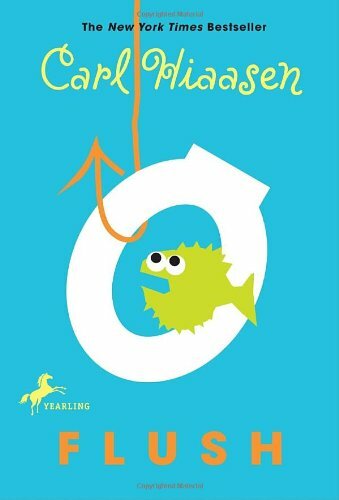 Now it’s time for #10 with my take on FLUSH by Carl Hiaasen. PLOT (From Amazon): Noah’s dad has a little problem with anger control. He tried to stop the Coral Queen casino boat’s illegal dumping . . . by sinking the boat. But his bold protest fizzles: within days the casino is back in business, and Noah’s dad is behind bars and out of action. Now Noah is determined to succeed where his father failed. But even though pumping raw sewage into the waters of the Florida Keys is both gross and against the law, turns out it’s near impossible to catch the flusher—especially when he’s already bamboozled the prosecutors, the local press, and even the Coast Guard. But Noah’s got a few allies. There’s his little sister, Abbey, an unreformed childhood biter; Lice Peeking, a half-soused ex-mate of the Coral Queen who is willing to testify . . . for a price; and Shelly, a bighearted bartender with even bigger biceps. Okay, so the odds aren’t good. But Noah has an ace up his sleeve—a plan so crazy it just might stop the polluting, save the beaches, and prove to the world that it’s the owner of the Coral Queen, and not his dad, who is full of . . . crud. It’s a fast paced, entertaining story about greed and conservation, two unlikely topics in Middle Grade books. The dad is the one always in trouble, instead of his son, Noah. And Noah is loyal to his dad the whole way. The great cast of characters who are each unique. Noah, our sensitive protagonist, is worried his parents may divorce over Dad’s impulsive ways. Abbey, his little sister, is a feisty biter. A mysterious pirate, a tough talking lady with a barbed wire tattoo, and the boat owner and his bullying son round out the ensemble. The novel can be enjoyed by adults and kids (probably age 10 and up with some of the issues being addressed: Drinking, jailed parent, corruption…). Boys and girls who like humorous and suspenseful stories would love this rather unlikely tale. 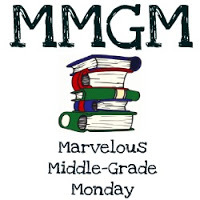 This entry was posted in Reviews and tagged Carl Hiaasen, First person POV, Flush, Middle grade, Middle Grade Book Reviews. Bookmark the permalink. Interesting list. I frequently have students ask for books in first person, but I never remember what POV any particular book uses; I will have to keep this in mind! Haven’t read this one yet, but HOOT has similar ideas with the protection of a endangered owl species. And so entertaining. I have this in my classroom library for my students, but I haven’t read it yet.